Get full details on the incredible Frank & Fred Casino welcome package, which comes with a whole bunch of free spins and bonus funds. 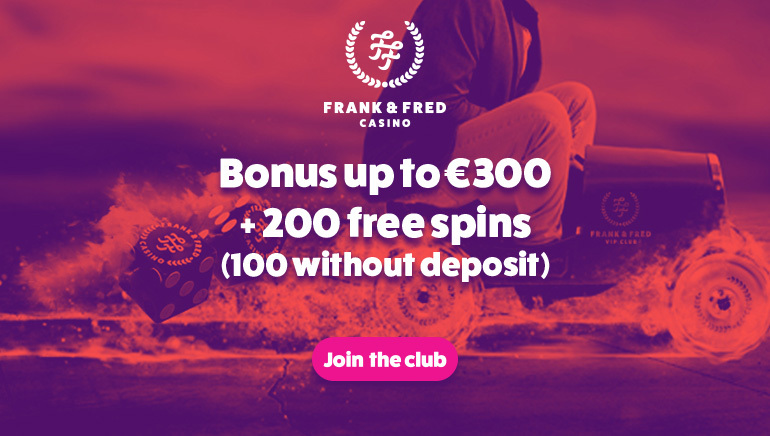 Frank & Fred Casino are welcoming new friends to their site with a hugely enticing signup offer. Simply register a new account today and it will be possible to win up to 100 free spins with absolutely no deposit required. After registering an account, Frank & Fred Casino will provide you with one spin for their NetEnt Wheel. Once you have spun the wheel, you could find that you will have 100 free spins for the hit Starburst slot from NetEnt. 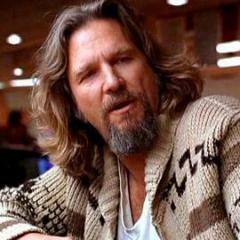 Moving on, you will encounter a further deal in the form of a 100% welcome bonus. This becomes activated on your very first deposit and will provide up to €300 in credit, with a further 200 Starburst free spins also available. Frank & Fred is compatible on mobile and offers a whole host of secure payment methods, not to mention a diverse roster of software providers, including Yggdrasil, BetSoft, NYX, Microgaming, Play’n GO, and live dealer specialist Evolution. The sheer variety of software allows for players to enjoy top slots such as Gonzo’s Quest, Vikings Go to Hell, Immortal Romance, Hanzo’s Dojo, and Holmes & the Stolen Stones. Claim the welcome package today and enjoy those games plus so much more with Frank & Fred Casino.